The Prairie Stomp - Narration | Instant Music Licensing - we make you sound good. 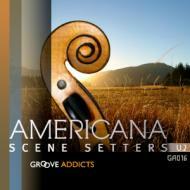 CD description: Setting the scene with visions of Americana living. Drama - Americana - Drama. Syncopated percussive rhythms build and layer in this energetic track. Narration.